As the basis of the Uchiha clan, it is absolutely necessary that these guidelines be put out. First off, Uchiha have a limited amount of time that they are able to use their active Doujutsu, determined by their skill level and sometimes other personal factors. The amount of tomoe that their active Sharingan possesses also features into this heavily, which is also determined by the Uchiha's skill level. Here is a quick run-down of the different effects of the various Tomoe. One Tomoe: Enables the detection of the chakra system in a very general manner, able to pick up on the internal chakra of other shinobi and able to detect disturbances in it. Other than that it cannot actually look at or otherwise see chakra, such as in other objects, or the chakra points as Hyuuga can. Two Tomoe: Enables the piercing of Genjutsu by detecting changes in chakra that reveal the presence of Genjutsu. The eye must be activated at this stage before the Genjutsu is used for this to take effect. This can only be used to see through Genjustu of the user's rank or lower. 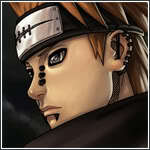 And the Sharingan only allows the Uchiha member to realize that they are under a Genjutsu, not dispel it. To do so would require a separate technique or skill. Three Tomoe: Enables the user to detect muscle tensions and body position to predict the attacks of an opponent before they perform them. 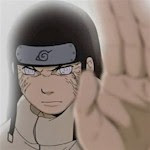 This can also be used to track handsigns and copy them, enabling effective copying of a jutsu assuming the Uchiha can use the jutsu being performed. This enables the Uchiha to see the muscle movements, but please be aware that anticipating something does not automatically make you able to dodge it. You still have to have the time and ability to react to attacks, ignoring such things is considered God Modding. And even if you are able to predict the movement's of the average Shinobi, sometimes those that are extremely fast may be a lot harder. + You must witness, or induce, the death of a close friend. - In the case of witnessing, you do not gain Mangekyou automatically, and must do a 6000 word training topic before you are able to achieve it, in which you dwell on their death and use it as fuel to unlock the latent potential of your Sharingan. + You must also receive direct permission from the Head Administrator to determine whether or not you are a good enough Roleplayer to hold such a powerful eye-technique. After you've obtained Mangekyou, you may be wondering about the techniques. The canon techniques are not allowed for use (excluding Tsukiyomi) and instead you may make your own techniques. You may have Genjutsu technique, one Ninjutsu, and one Special Summoning. Each of these will drain from your chakra heavily (as the cost of two S Rank jutsu) and slowly induce blindness. You may use Mangekyou as many times as you like in a topic, though the chakra drain limits you, and the blindness will be very quick in coming. After the first five uses, the eyes will bleed anytime afterwards that you activate Mangekyou, causing great pain and blurring vision and aim. After ten, the eyes become hazy and grow lighter in color, making the user effectively color-blind. At the moment of the fifteenth use, the user becomes irreversibly blind and can only regain sight by killing another Mangekyou Sharingan user. Doing so will reset the eyes to their original state and no further eye usage will degrade the vision. Please be aware that using the Mangekyou abilities requires the appropriate specialties. You must have Ninjutsu and Genjutsu to use the corresponding abilities, Summoning is the only technique that does not require any specific specialty to utilize. Upon achieving Mangekyou you will not change specialties, so plan ahead of time or get your specialty switched if you intend to ever use Mangekyou. The Sharingan may be held for a number of posts at each tomoe level according to the chart below. If the user switches from a lower tomoe count to a higher, the post in which it is switched does not count against the number of posts for the higher tomoe. You may not advance from no tomoe to two, or one to three, and receive this benefit.